XXIV, 592 S., 149 s/w Illustr., 18 farbige Illustr., 109 s/w Tab. Warranty data is collected during the processing of claims under warranty. Properly analyzing this data, we can better estimate product reliability and the costs of warranty. 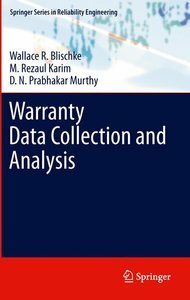 This book unifies the range of literature on warranty data collection and analysis. Warranty Data Collection and Analysis deals with warranty data collection and analysis and the problems associated with these activities. The book is a both a research monograph and a handbook for practitioners. As a research monograph, it unifies the literature on warranty data collection and analysis, and presents the important results in an integrated manner. In the process, it highlights topics that require further research. As a handbook, it provides the essential methodology needed by practitioners involved with warranty data collection and analysis, along with extensive references to further results. Models and techniques needed for proper and effective analysis of data are included, together with guidelines for their use in warranty management, product improvement, and new product development. Warranty Data Collection and Analysis will be of interest to researchers (engineers and statisticians) and practitioners (engineers, applied statisticians, and managers) involved with product warranty and reliability. 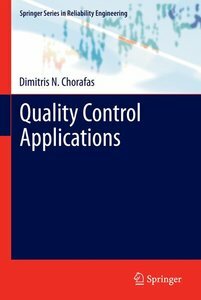 It is also suitable for use as a reference text for graduate-level reliability programs in engineering, applied statistics, operations research, and management. Wallace R. Blischke obtained a B.S. in Mathematics from Elmhurst College, and M.S. and Ph.D. degrees in Statistics from Cornell University. His early employment included aerospace and consulting firms. He joined the faculty of the University of Southern California in 1972, where he taught in the School of Business for 27 years. Dr. Blischke is currently Professor Emeritus, Marshall School of Business, USC, and is a private consultant specializing in data analysis, experimental design, sampling, reliability, quality assurance, warranty, and litigation support. He has over 50 publications in statistics, reliability, warranty analysis, and related areas, has co-authored or edited five books (three on warranty and two on reliability), and has presented papers and lectures at numerous conferences and universities on five continents. Dr. Blischke is a Fellow of the American Statistical Association and has served as Associate Editor of several scientific journals. M. Rezaul Karim obtained Bachelor of Science (Honours) and Master of Science degrees in Statistics from the University of Rajshahi, Bangladesh, and a Doctor of Engineering degree from the University of Electro-Communications, Tokyo, Japan. For the last sixteen years he has been working in the Department of Statistics at the University of Rajshahi, Bangladesh, and is currently at the rank of professor. His research fields of interest are: quality and reliability analysis, warranty claim analysis, industrial statistics, bio-statistics, and statistical computing. He has considerable research experience in his fields, has published 15 papers in international refereed journals, and presented 20 papers at various conferences and workshops in seven countries. 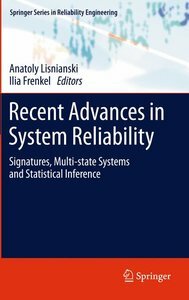 He has written a few chapters on warranty claims data analysis in such books as the Handbook of Statistics and the Encyclopedia of Statistics in Quality and Reliability. He served as an assistant editor of the International Journal of Statistical Sciences for two years and worked as a committee member of several international conferences and workshops on warranty and reliability modeling and analysis. He is a member of five professional associations. D. N. Prabhakar Murthy obtained B.E. (Electrical Engineering) and M.E. (Applied Electronics) degrees from Jabalpur University and the Indian Institute of Science in India, and M.S. and Ph.D. (Applied Mathematics) degrees from Harvard University. He is currently Professor Emeritus at The University of Queensland. In the past he has held visiting academic appointments at several universities in the USA, Europe, Asia and Australasia. Pra Murthy is the author or co-author of 165 journal papers and has presented over 150 papers at various conferences around the world. He is the co-author of six books, and the co-editor of three books and several conference proceedings. He has run short courses on various topics of reliability and warranty around the world and is on the editorial boards of eight international journals. 1. An Overview.- 2. Product Warranty.- 3. Reliability.- 4. Warranty Claims Data.- 5. Supplementary Warranty Data.- 6. Cost Models for One-Dimensional Warranties.- 7. Cost Models for Two-Dimensional Warranties.- 8. Preliminary Data Analysis.- 9. Basic Statistical Inference.- 10. Additional Statistical Techniques.- 11. Nonparametric Approach to the Analysis of 1-D Warranty Data.- 12. Parametric Approach to the Analysis of 1-D Warranty Data.- 13. Complex Models for Parametric Analysis of 1-D Warranty Data.- 14. Analysis of 2-D Warranty Data.- 15. Use of Warranty Data for Improving Current Products and Operations.- 16. Role of Warranty Data in New Product Development.- 17. Case Study 1: Analysis of Air Conditioner Claims Data.- 18. Case Study 2: Analysis of Automobile Components Warranty Claims Data.